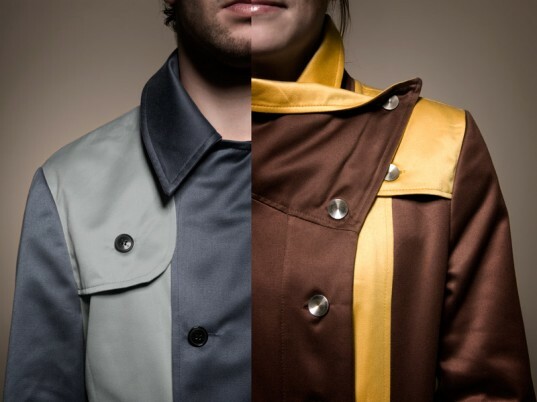 If dodging rain showers in a toxic yellow slicker isn’t your style, Fioen van Balgooi of Refinity has a pair of his-and-hers raincoats that are nontoxic, recyclable, and cuter, to boot. “I just wanted to make a good raincoat,” the Dutch designer tells Ecouterre. “No garbage, easy to disassemble for recycling, functional, and beautiful; isn’t that the way all garments need to be made? After experimenting with several options, including impregnated organic cotton, Tencel, and GreenShield-coated polypropylene, van Balgooi settled on a custom fabric developed in collaboration with Dutchspirit, a sustainable-fashion label in Nijmegen. A lighter-weight and more flexible version of Backhausen’s Cradle to Cradle–certified Returnity fabric, the material is fire-retardant and water-resistant without the need for toxic finishes. The coat’s components can be easily disassembled for recycling. Another feature of the coat is that its components can be readily disassembled for recycling. The outer layer is stitched, rather than glued to the lining. And in lieu of zippers, velcro, or conventional buttons, the closures are “clicked” onto the fabric, a tack that also allows for easy customer customization. If dodging rain showers in a toxic yellow slicker isn't your style, Fioen van Balgooi of Refinity has a pair of his-and-hers raincoats that are nontoxic, recyclable, and cuter, to boot. 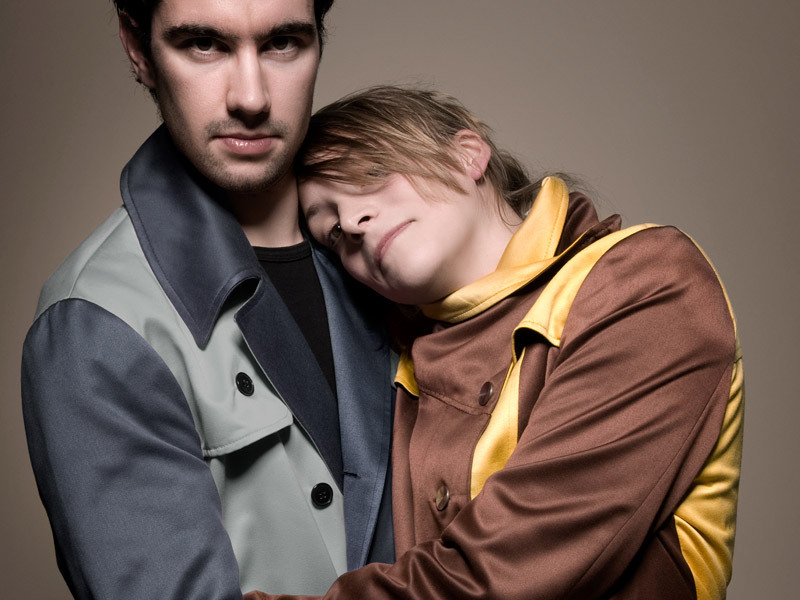 "I just wanted to make a good raincoat," the Dutch designer tells Ecouterre. "No garbage, easy to disassemble for recycling, functional, and beautiful; isn't that the way all garments need to be made?